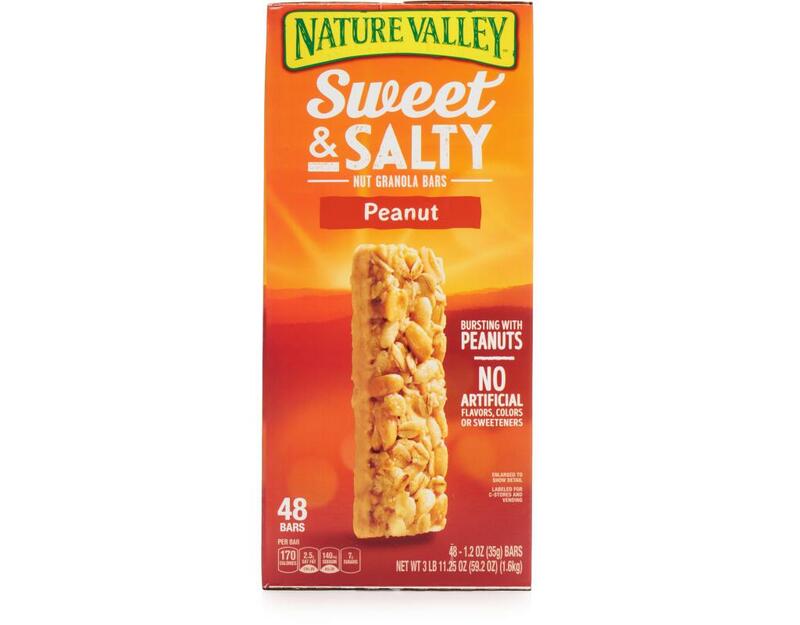 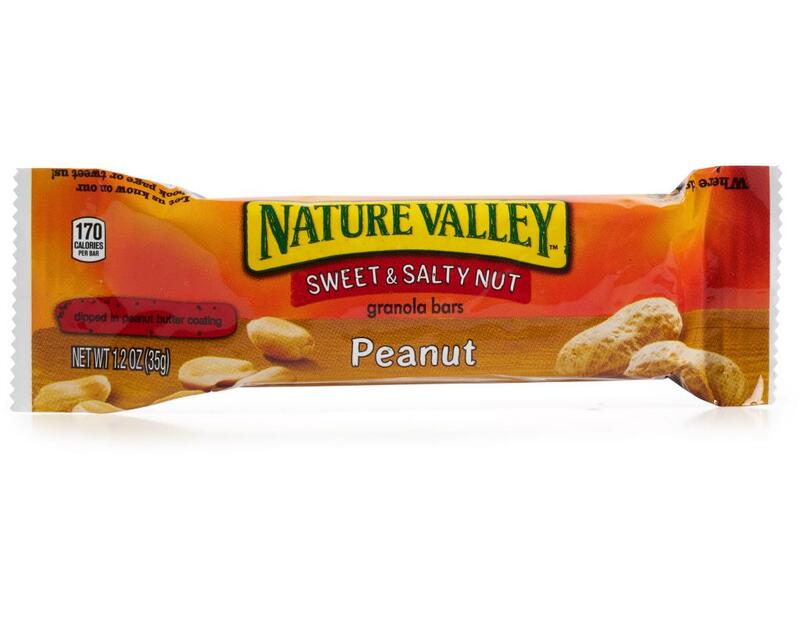 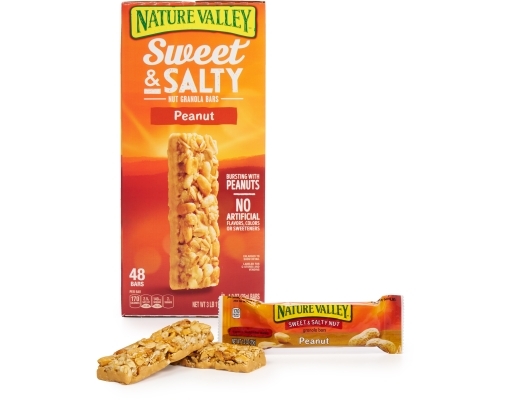 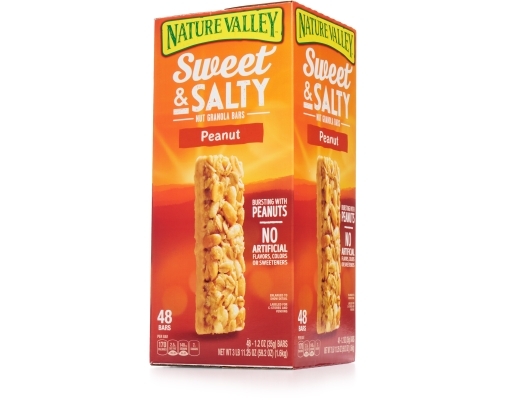 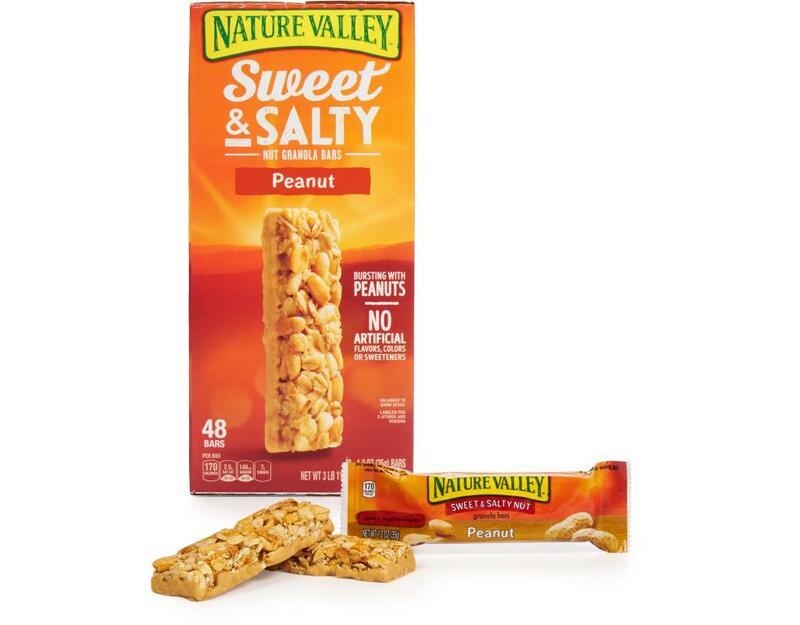 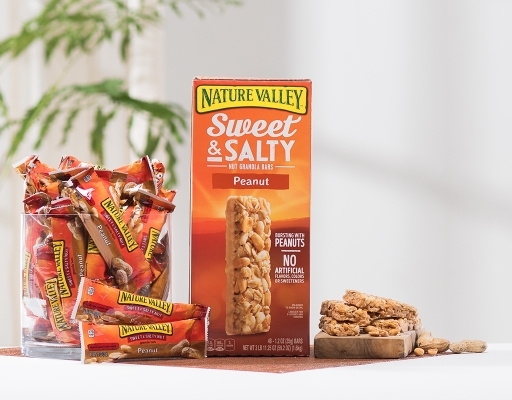 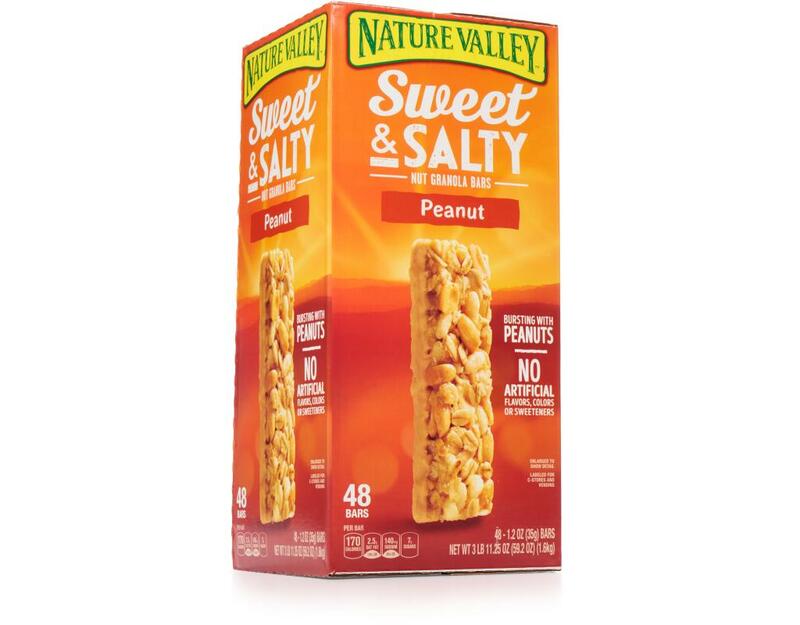 Nature Valley Sweet & Salty Peanut Granola Bars offer a perfect balance of savory nuts and sweet granola. 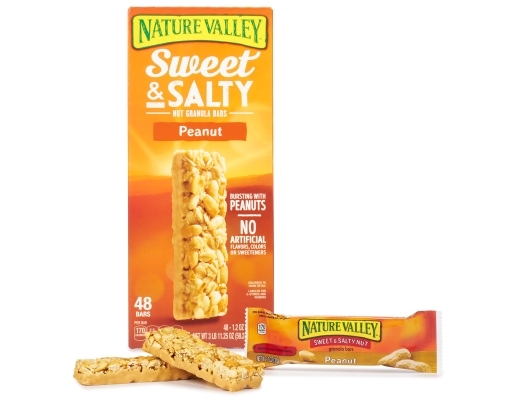 Each granola bar is bursting with peanuts and dipped in a creamy peanut-butter coating. 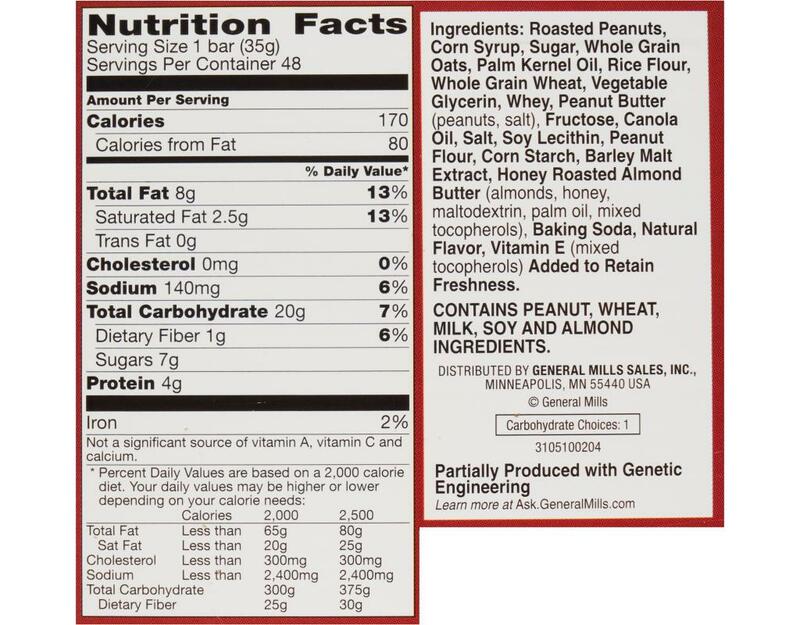 Contains peanut, wheat, milk, soy and almond ingredients.